Whisky fans in Japan wanting to do their bit for quake and nuclear accident-hit Fukushima prefecture could do worse than invest in a pure malt whisky from Sasanokawa distillery. Although Sasanokawa`s XXV Cherry Whisky is not new to the market, I think the cute barrel design is (see above). 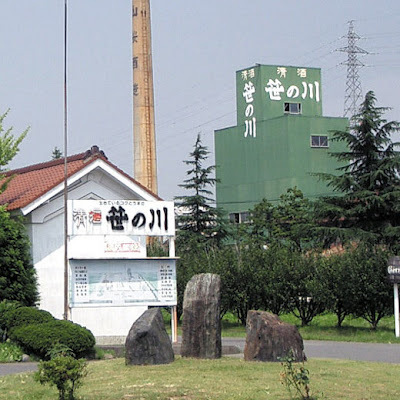 Sasanokawa distillery is based in Koriyama City, Fukushima Prefecture, which is inland from the main tsunami-hit areas and about 40 miles from the stricken Fukushima No.1 nuclear plant. Nevertheless, it did suffer significant damage in the March 11 quake including damage to a storage tank, warehouses, a chimney, plumbing and stocks (as these photographs show). Sasanokawa and its Cherry Whisky brand have been consigned to the footnotes of the Japanese whisky story on Nonjatta. I have mentioned the distillery a couple of times, but never really spent much time on the subject (despite getting quite a few inquiries about them in comments and emails). That needs to be put right. Cherry Whisky is actually a significant name in the development of whisky culture in Japan. Sasanokawa is an old sake and shochu making house, dating back to 1765, but they started making whisky in 1946 and built themselves into quite a force in the postwar whisky market in northeast Japan, prevalent enough to rival Nikka or Suntory in the region. One of the firm`s more recent interventions, helping Ichiro Akuto to save stocks from the old Hanyu distillery and therefore enabling him to launch his Ichiro's Malt brand, was genuinely significant for preserving diversity in the Japanese whisky world. The XXV brand was launched in the 1980s by Yamazakura, another company that was later bought by Sasanokawa. I think it commemorated the 25th anniversary of that company`s move to a new location in Asaka district. According to the Rakuten page I have linked to, it is made from 10 year aged malt made under the old regulations that used to divide Japanese whisky into grades. It may contain a considerable amount of imported malt. 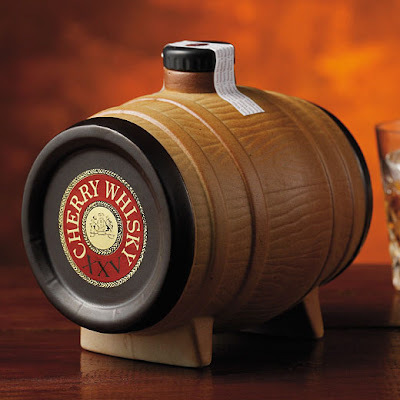 One reference I found was talking about a 6:4 ratio of imported whisky to the company`s own whisky and the designation of it as "pure malt" rather than single malt does imply more than one source. As usual with these Japanese "ji-whiskies" it is all a bit difficult to understand, but, anyway, it is 6,280 yen for 720 ml. Thank you for sharing this; it's very interesting, and it's also good to know there's an opportunity to help.